When my Tuscan friend Gabriella feels enthusiastic about something she rolls her eyes toward the heavens and exclaims, “Mamma mia!” No, she’s not an Abba impersonator. 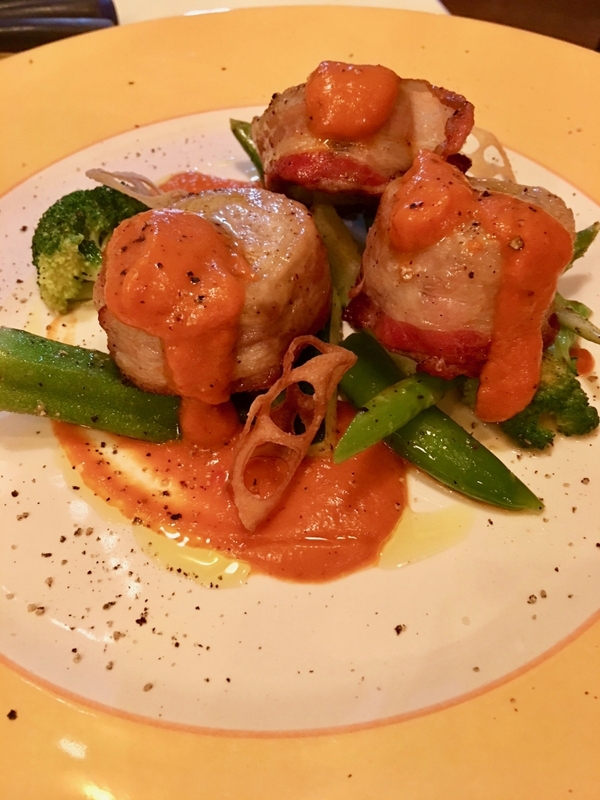 In this particular case it was an apt reaction to finding Mamma Luisa’s Table, a tiny Tuscan gem of a restaurant tucked away in the backstreets that fringe Tokyo’s vibrant Shibuya shopping district. 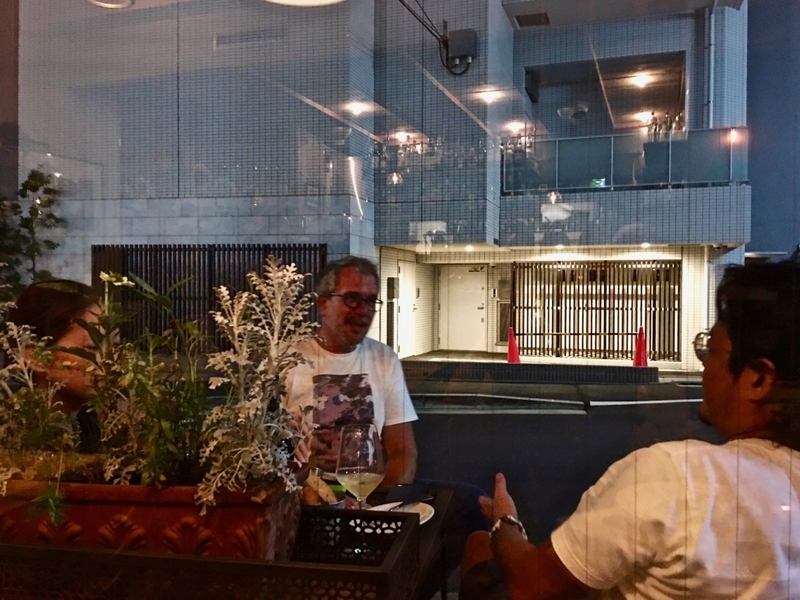 It was just cooling down on a late summer evening and definitely time for a chilled glass of wine as we turned a corner off the main street and headed to Mamma Luisa’s. Steps from the front door, a husky voice greeted us, beckoning us inside. 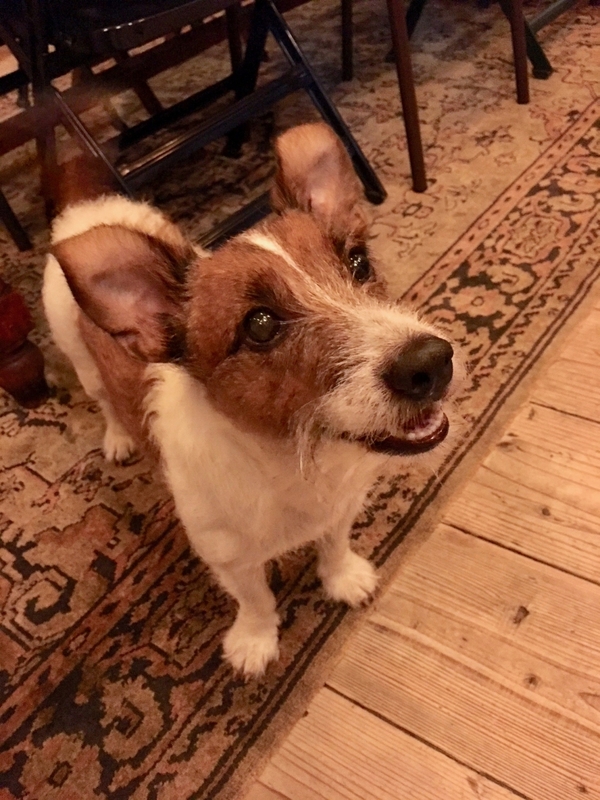 It was the restaurant’s resident host Gino, a Jack Russell terrier. The handsome “greeter” with the deep voice. Androsini catching up with a diner outside the restaurant. 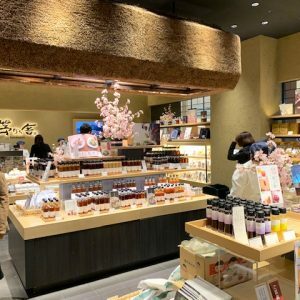 Androsoni came to Japan in 1996 to work as the pastry chef for the Tokyo outpost of Enoteca Pinchiorri, the Michelin three-starred restaurant in Florence, Italy. He had been working as a chef in the American city of Cleveland in Ohio state and jumped at the chance to cook in Japan when invited by an old boss from Italy. Eventually Pietro felt it was time to leave pastry and Enoteca Pinchiorri. Soon the budding restaurateur was walking Tokyo neighborhoods looking for the ideal place to open his own eatery. He finally found the perfect space in a former bicycle shop with high ceilings and large windows facing the street. As founding chef and proprietor of Mama Luisa’s, Pietro made the hearty Tuscan dishes he remembered eating with his family. Now that he has several cooks in the kitchen, he is free to join Gino in welcoming guests and taking reservations, but he never hesitates to pull over a chair to join in hearty conversation or pour the next glass of wine for someone. The atmosphere at Mamma Luisa’s is casual and friendly. It looks like a typical Florentine trattoria with simple table settings and basic decoration, the kind of neighborhood place you might find on a small street behind Sant’ Ambrogio market in Florence. There are several tables inside and one table for two outside. 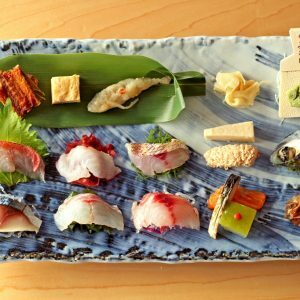 It could be the kind of restaurant one would love to spontaneously visit, but because of its diminutive size, it is most likely essential to reserve a table. Since our stomachs were still feeling a bit of “natsubate” (summer fatigue) from the heat, we decided to keep the meal simple and on the small side by sharing a starter and pasta before our main dishes. The calamari appetizer signaled we were in for a splendid meal. 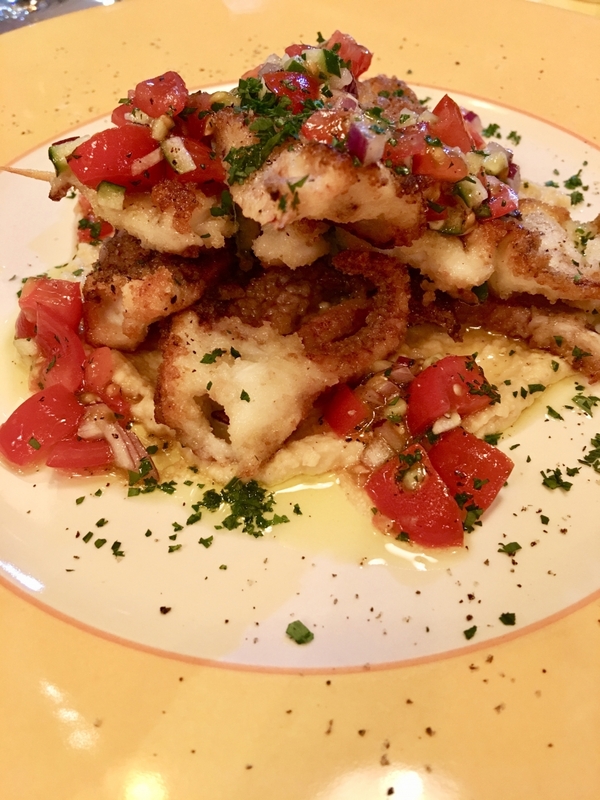 Small pieces of calamari had been lightly grilled on skewers, placed over a creamy hummus base and anointed with fresh tomatoes tossed in a laurel-infused herbal dressing. The serving was ample enough to share and could easily have been a main dish. A memorable starter I’d eat as a meal. 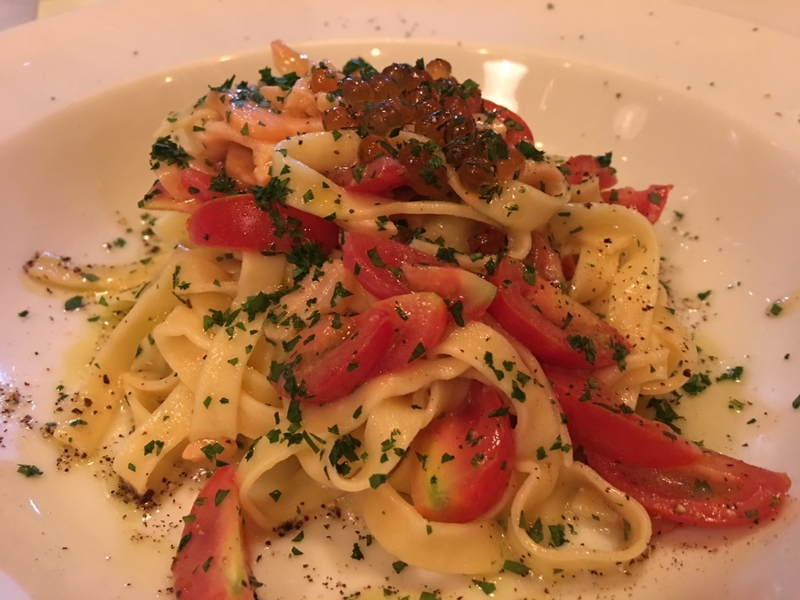 The next course was a room temperature pasta dish of fresh hand cut fettuccini tossed with perfect summer tomatoes and herbs, topped with salmon caviar. The flavors and textures were balanced to perfection. We again shared the dish and it, too, was large enough to be a main dish. A typical Italian dish with a touch of Japan – ikura, or salmon caviar. Gino had been perched attentively near our table, but by now Mamma Luisa’s was filling up and with many guests to greet, he became quite busy. Most guests seemed to be regulars. Pietro noticed that we had already finished the fruity biodynamic white wine we’d ordered, and suggested a hearty red. He rushed off to prepare a wine for us to taste when both of our main dishes arrived. We hoped they would be equal to what we’d already eaten. They did not disappoint. 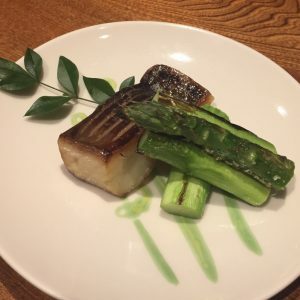 My tai red snapper was expertly seared, tucked next to perfectly cooked greens and topped with a sauce made primarily from small Delaware grapes, considered native to the U.S. but very popular in both Japan and South Korea. They are very tiny grapes and I couldn’t help but wonder who peeled them. Later that evening I did a bit of research and found that they are purplish “slip skin” grapes that are easily peeled by slipping them from their skins, as opposed to most Japanese grapes that require laborious peeling before eating. 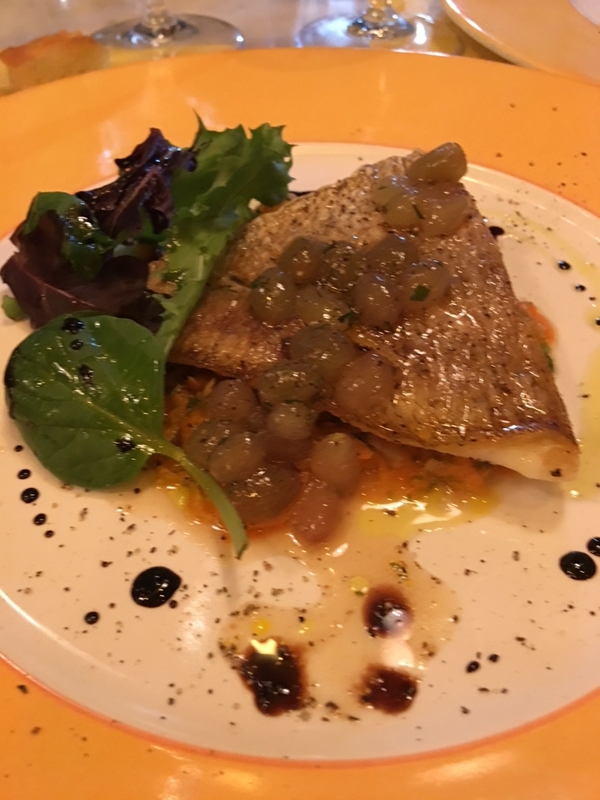 My fish dish was memorable but who peeled those grapes? The pork was tender and juicy. It had been a lot of food. We were tempted to order dessert, especially when Pietro told us that Gino gladly sings Happy Birthday when serving such festive cakes. Given Pietro’s background as a pastry chef we suspected that the desserts at Mamma Luisa’s Table would be especially tasty. Too full from such excellent food, we settled for an herbal tea and decaf espresso. Besides, not trying dessert has given us a reason to return soon!